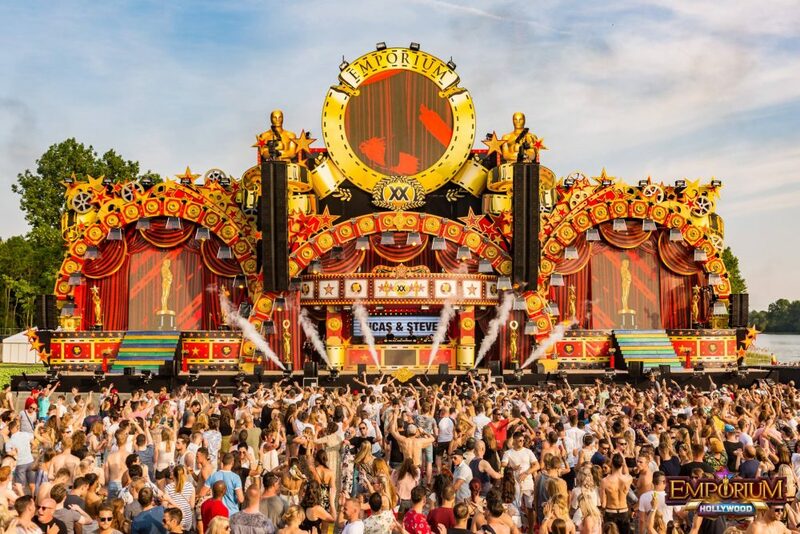 WIJCHEN, The Netherlands – Story Event Engineering deployed JBL VTX A12 and V25-II line arrays, Crown amplifiers and Soundcraft mixers for the 2018 Emporium Festival. To ensure optimized system performance across all nine stages, the Story Event Engineering team relied on a range of JBL VTX and VRX speakers and subs assembled in different configurations tailored to the needs of each stage with regards to size and genre represented. For the two main stages, Story Event Engineering selected VTX A12 line arrays, which enabled production Manager Koen Wijnands and his team to achieve incredible power, depth and clarity with minimal system tuning. In addition to VTX A12 line arrays, Story Event Engineering supplied VTX V25-II line array systems for the remaining seven stages, with V20 speakers providing out fill coverage. VTX S28 and G28 subwoofers delivered the deep impact necessary to get the dance floor rumbling. VRX932LA1 speakers and VRX918S subwoofers provided powerful and accurate on-stage monitoring for DJs and performers. The VRX932LA1 also served reliably as downstage front fills for the audience members in the front rows. State-of-the-art Crown I-Tech 12000HD, 5000HD and 4x3500HD amplifiers powered all speaker systems at the festival. To ensure top-tier mixing control, the main stages were equipped with Soundcraft Vi2000 consoles with Realtime Rack, while the other stages received Soundcraft Vi1 consoles. Dutch promoters and engineers have been so impressed with Story Event Engineering’s production quality that the company attributes a part of its growth directly to the VTX A12.